Used wooden swingsets can be made into antique laptops. In the process of woodworking, it's common to have wood waste, mistakes and leftover wood from old projects. These junk pieces offer the freedom to consider a hunk of wood that lacks purpose and move to create a new usable life. Most of the items you see here are made from old swingsets, playhouses, spare parts from custom playset and treehouse projects, pallets, and wood waste acquired from our service business Playset Services. Our creative reclaimed wood products are made one at a time in Otter's Workshop and each product has its own unique character. 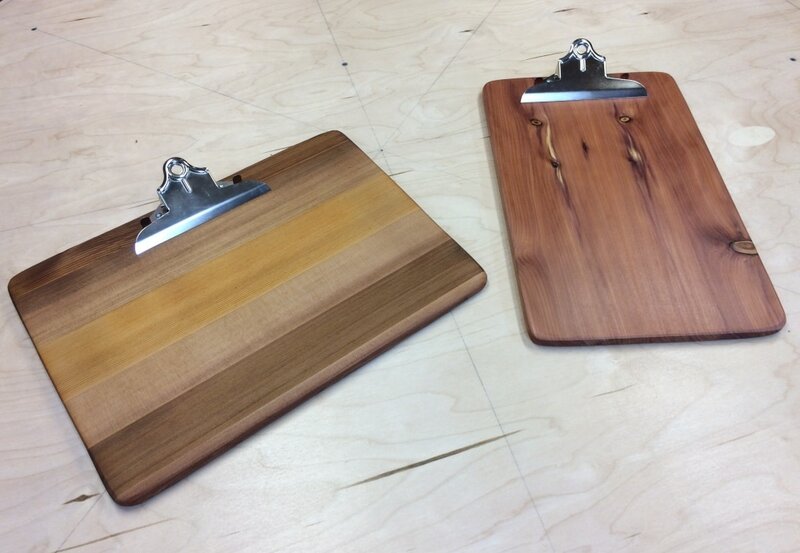 Our reclaimed wood product line is limited now so bear with us as we create and add new items. 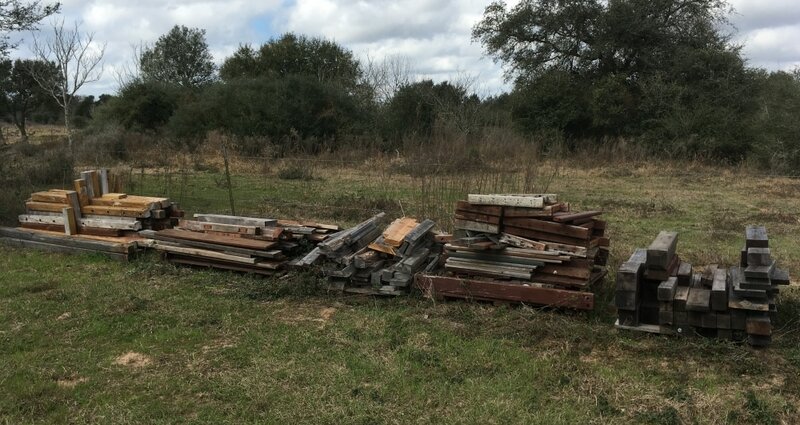 This junk woodpile is just one of several we have sitting out behind Otter's Woodshop waiting to be turned into useful reclaimed wood products. We palletize the wood by type and size and use this as our picking lot when it's time to build. We currently have a limited product line, but as you can see we do not have a shortage of building materials. 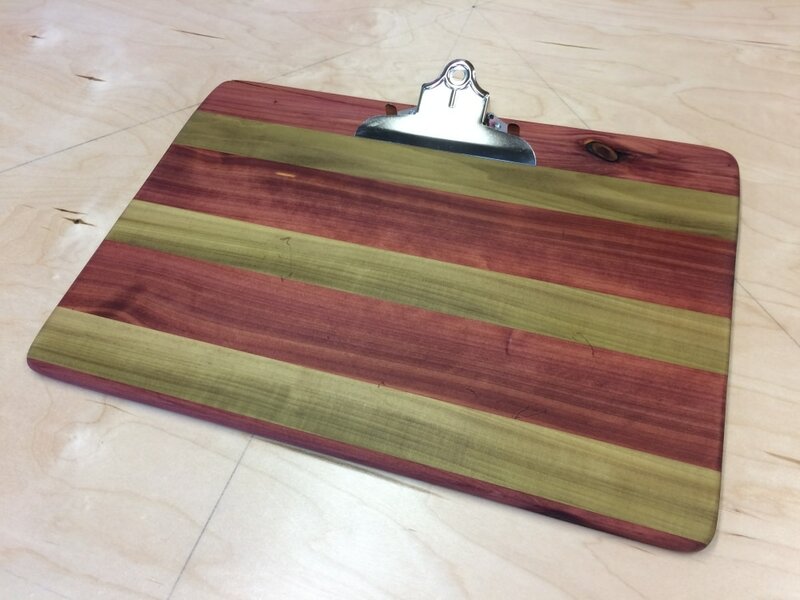 There are a ton new items on our build list, including 5 styles and sizes of quality wooden clipboards, miniature building materials, sanding blocks, recycling tools and more. 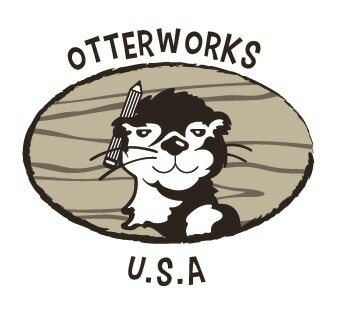 So it will take us a little time to build up stock and add items to this site. In the meantime, feel free to peruse the useful and practical wooden products we currently have available and remember to check back with us from time to time and see what's new.